A small group workshop including classes catered especially to you by Mercedes Ruíz. (She is wonderful and beautiful and fabulous – an incredibly talented dancer who takes extreme pride in teaching) with some live accompaniment by Santiago Lara. During the Flamenco Tour to Jerez we'll also spend time with Ana María López studying Bulerías de Jerez (with live cante and (often) guitarra). Because there's no flamenco without palmas. Get a free copy of A Day in the Life of a Student on the Flamenco Tour to Jerez to find out more about the classes in Jerez. 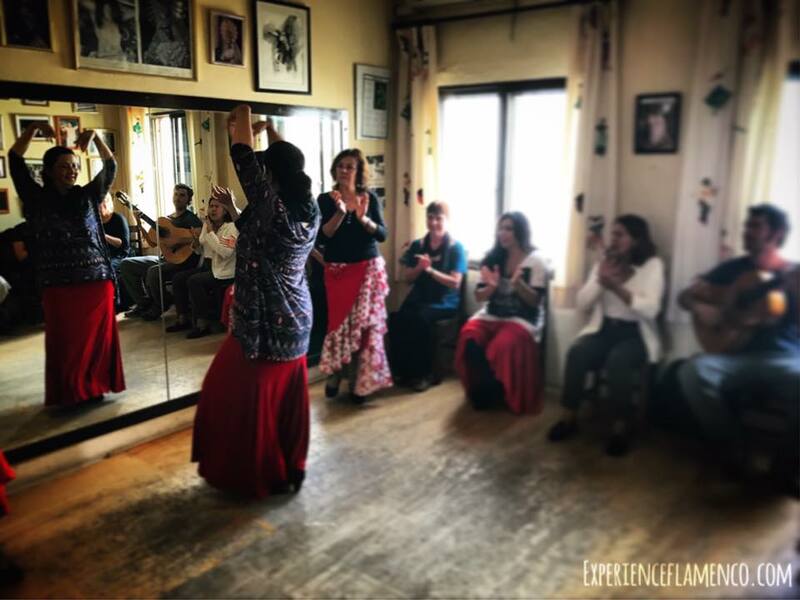 Sign up with your email address to receive a Day in the Life of a Flamenco Student in Jerez along with our latest flamenco news and updates.